The Bible has the astounding power to transform lives. The stories of people like Francis of Assisi, Antony of Egypt, Augustine of Hippo, Martin Luther and Martin Luther King Jr. vividly demonstrate this. Why aren't more of us transformed by Scripture today? Too often we study biblical texts without believing that God truly inhabits this book. Scripture seeks to capture our minds, not merely educate them. In these pages Chris Webb explains that we can transform our Christian life by reading as lovers rather than as theorists. This is possible by coming to the text prayerfully, expectantly, in humility and empty-handed. When we open the Bible, it does not say to us, "Listen: God is there!" Instead, the voice of the Spirit whispers through each line, "Look: I am here." Reading the Bible this way can reconfigure the habits of your heart, refresh your imagination and memory, reshape and redeem your emotions, realign your reality individually and communally for kingdom life, and take us beyond the Bible into a renewed way of life. Here is the work of today--which is also the work of the whole of life--to open your heart afresh to the living Word of God. "Beautifully written and firmly grounded in the breadth of our Christian tradition, every page is permeated with Chris's love for Scripture and the God of Scripture. If you engage even a fraction of the approaches to Scripture he describes here, your relationship with Scripture will be transformed!" "The Fire of the Word makes you want to discover the God of the Bible all over again. Chris Webb dares us to open up the pages of Scripture and enter a new place of intimacy and passion. Each chapter gives practical steps for deeply refreshing discovery to become a life-transforming habit." "Chris Webb is a man of prayer, action and commitment, fueled always by his love of God. His warm, welcoming new text captures the high beauty of his Colorado dwelling place with his simple dwelling in Christ. Evoking world images from the green spaces of his own Welsh homeland to the dry wilderness of Jesus's own journey, he pours out his love of all Christ's people on the planet, teaching and encouraging us all the while. Here is a new, engaging master of the spiritual life." 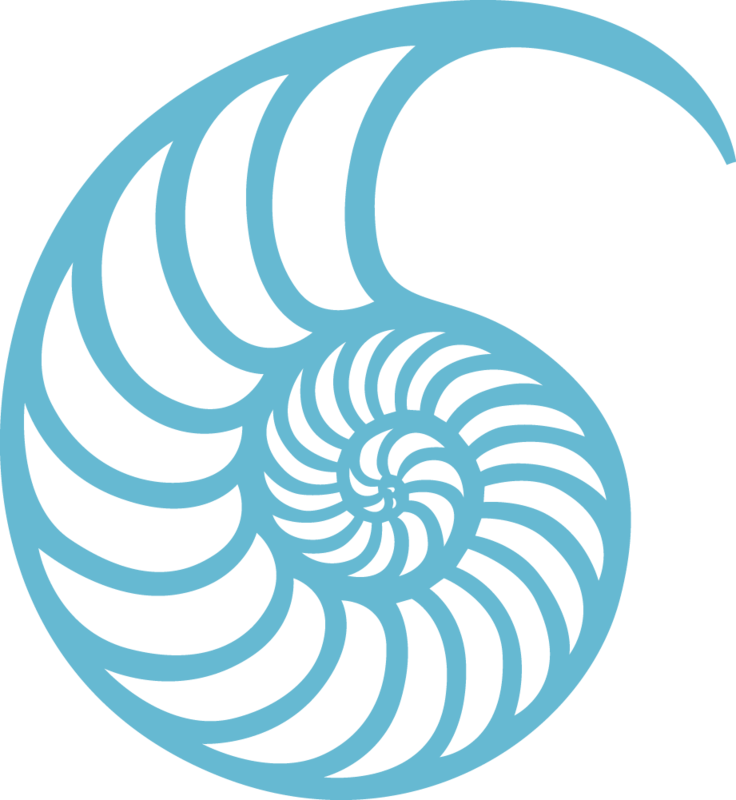 "Evangelicals often peer over the fences of other traditions, seeking to learn time-tested patterns of the Christian spiritual life. Like those who precede us, we want to open ourselves up to the presence of God--the love of God, the grace of God, the person of God. 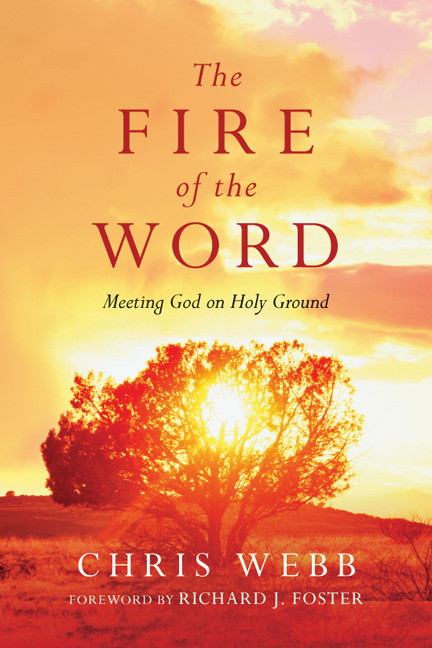 In practical and authentic ways, The Fire of the Word brings together many such ancient gems and invites us specifically and practically into life-giving connection with God in the Bible. A top recommendation to all who seek a deeper, more life-shaping experience in the Scripture." "A huge abyss yawns between how much we know (or don't) about the Bible and how thoroughly we live it. Getting across that abyss is a major challenge to the Christian community. Christopher Webb wrote this book to serve as a kind of suspension bridge from knowing the Bible to living the Bible. He does it by telling stories of the people who live it, by living it himself and by using language that is energetically alive. Walk across this bridge and experience the sheer livability of the Bible." "Once in a great while a book points me directly to God, like the arrow of a compass that points to the true north. The Fire of the Word was exactly that for me. I found myself focused Godward with each passing page as the Spirit ravished my heart, increasing my longing to be with the eternal Word that finds its way to my heart through ink and paper in the Bible. After reading this well-written, honest, funny and wise book, the sacred Scriptures--which I can at times take for granted--are more sacred to me than ever." "The Fire of the Word is an inspiring call to read Scripture as a means of encountering God personally. One by one Chris removes obstacles in our view of God, of Scripture and of oursevels that stand in the way of a transforming relationship with our Bible. The book provides valuable assistance in reading our Bible wholeheartedly: with attention, imagination, reason, emotion and intention. 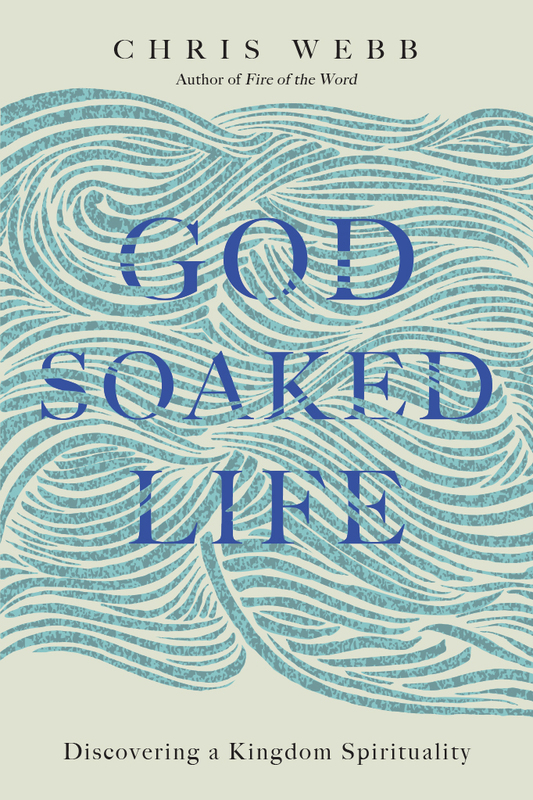 I followed with delight his stories of childhood foolishness, art history, alcoholic friendships and more as this book empowered me to listen to the voice of God through Scripture." "The Fire of the Word is a marvel and a joy. How thrilling to welcome this fresh, new voice to the field of Christian spirituality. Christopher Webb has accomplished what few have succeeded in doing: he has given us courageous openings onto what a life hid with Christ in God can be like." "I would commend this book for the challenge it has made to me to think about how I read the bible." Chris Webb is an Anglican priest, author, and speaker passionate about helping people experience a richer walk with God by growing in prayer and the spiritual life. 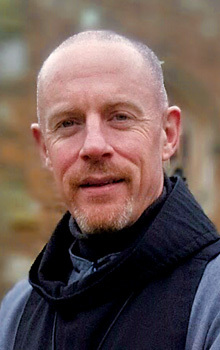 He is author of The Fire of the Word and he serves as deputy warden at Launde Abbey and diocesan spirituality adviser to the Diocese of Leicester. Previously, Chris served as president of Renovaré USA and as a faculty member of the Renovaré Institute for Christian Spiritual Formation. He has ministered in a wide variety of churches, including Welsh parishes in urban and rural settings, and a church for the homeless. Chris lives in Leicestershire, England, with his wife and four children.